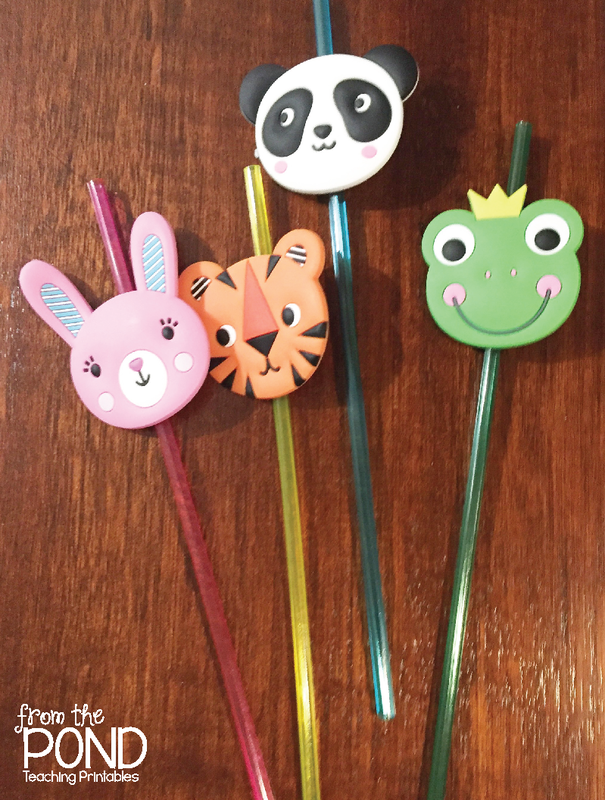 Aussie teacher-friends, I just found these adorable animal straws at Kmart and turned them into special rewards for my kiddos! $2 for 4 straws, so it is super-kind to the teacher budget! 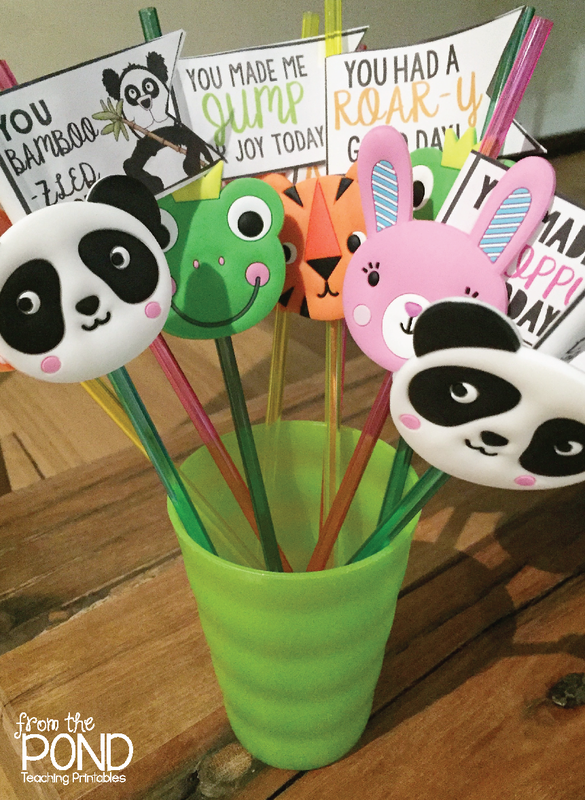 Simply print and cut the mini flag pennants. 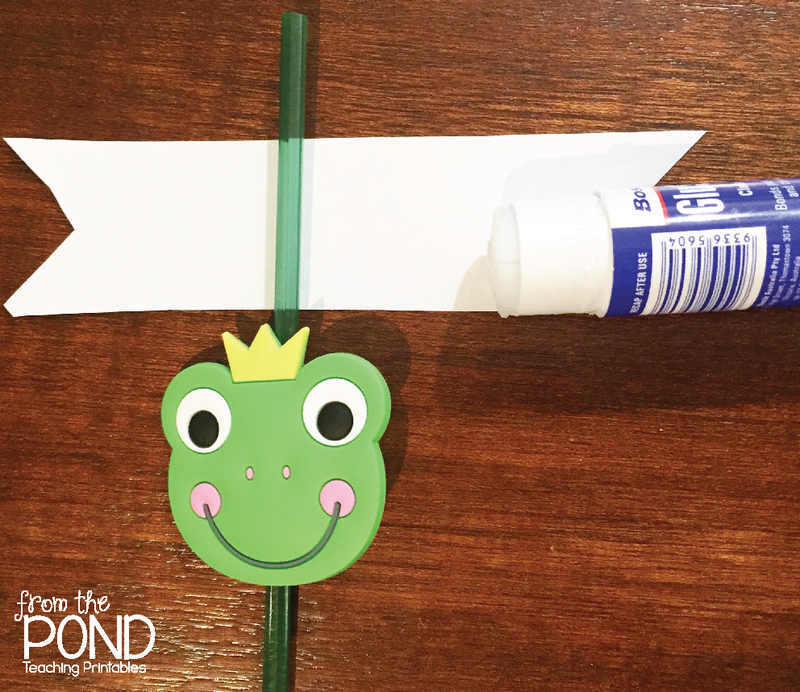 Slide the animal down the straw and pop the pennant under the straw. Glue one side. And fold over and squeeze. 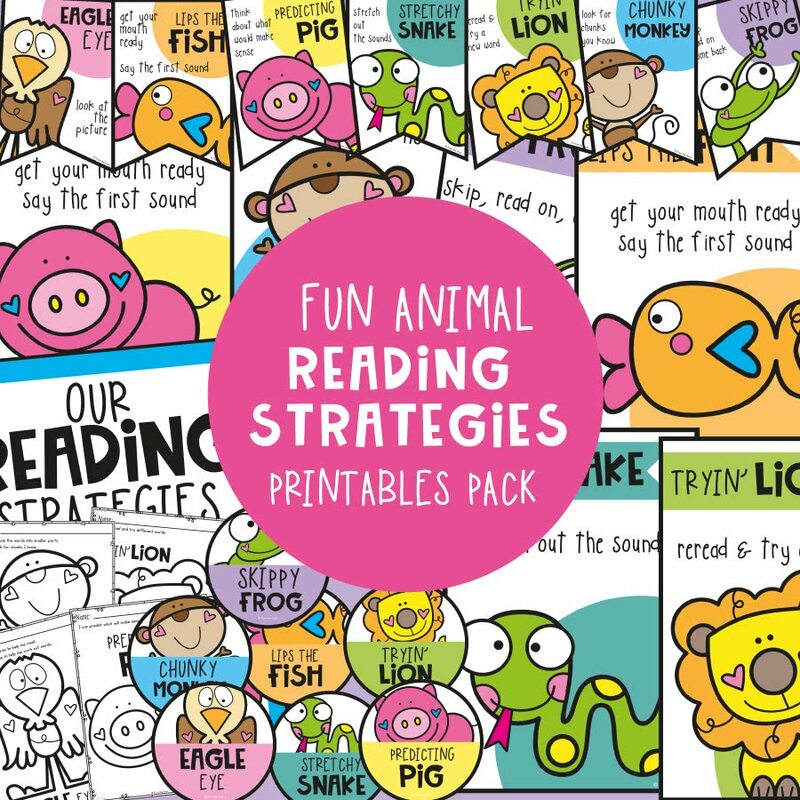 Keep them in a cup and hand them out when you want to reward some awesome behaviour! 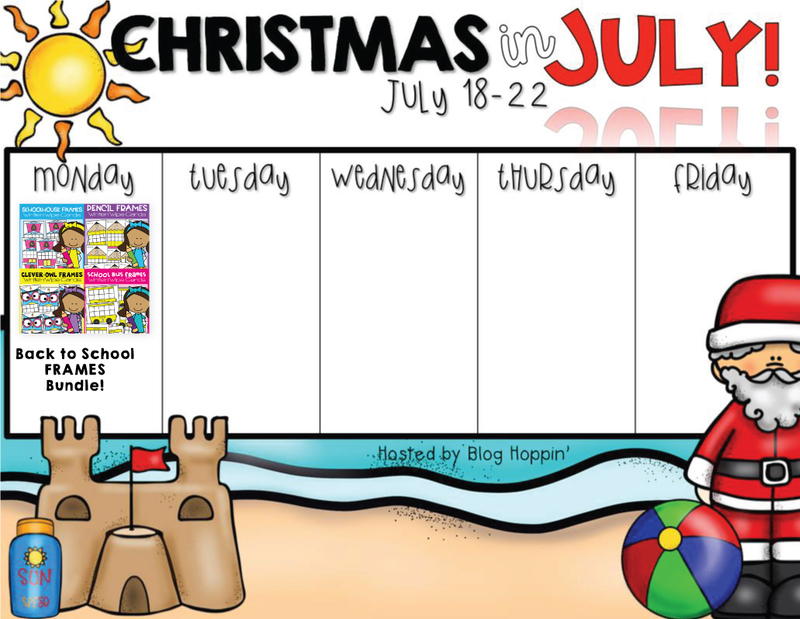 One of my Back to School games packets got a freshen up last week! 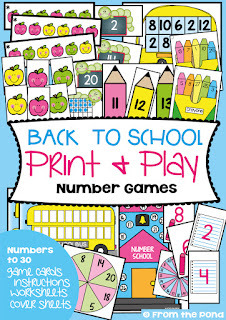 It's a bundle of eight games and perfect for a range of learners in the first weeks of school. This is 'Apple Patterns' - students have to create repeating patterns with the apple cards and record their ideas. 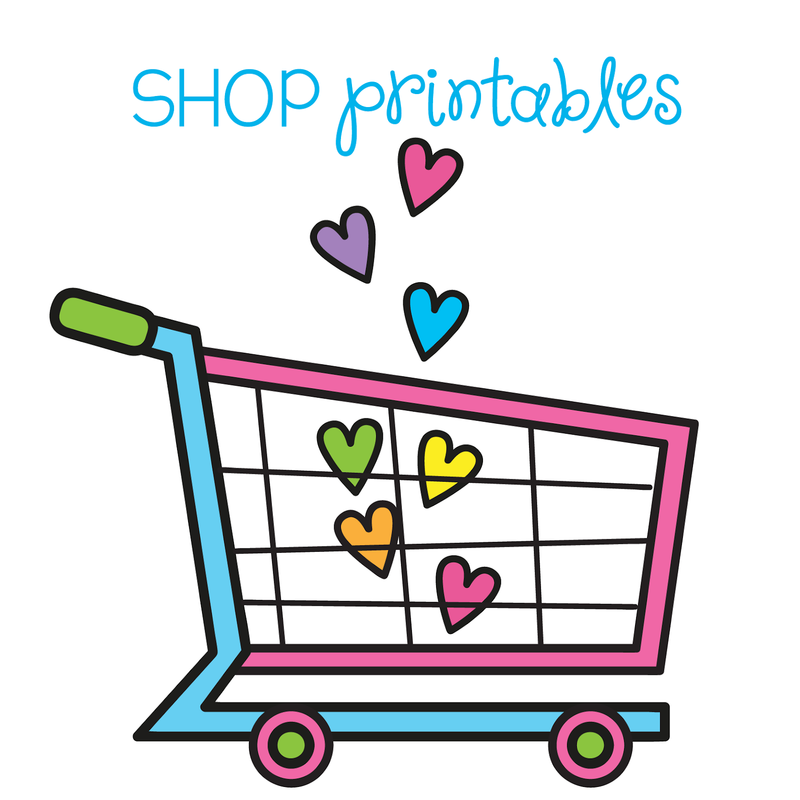 Simply print a stack of the cards and let them get busy! 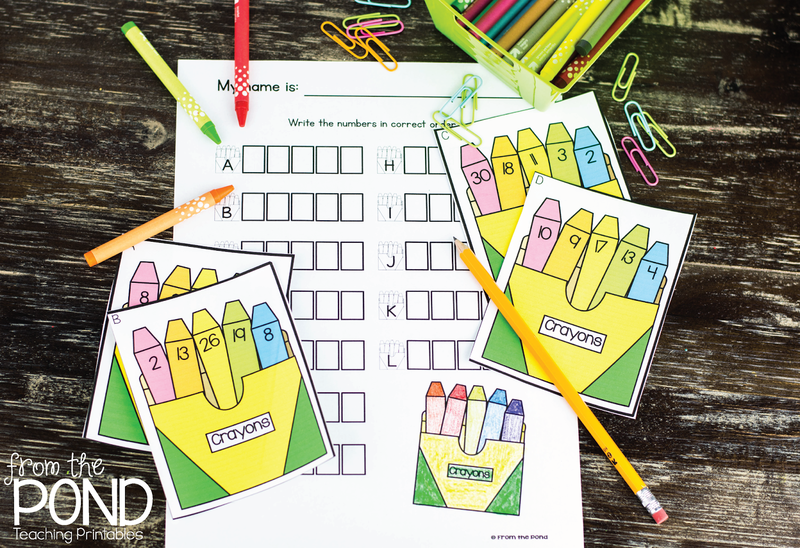 Crayon Order is also included in the bundle and will see students order numerals up to 30 from smallest to largest and record on their worksheet. If you have already purchased this set from me, be sure to revise your 'My Purchases' in your TpT account and snag the revisions! A HUGE thank you to Mary who has been helping me with some photography! I'm in LOVE! 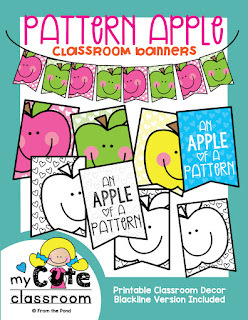 While I had 'apple patterns' on the brain I created a fun new classroom banner to complement my existing packets. 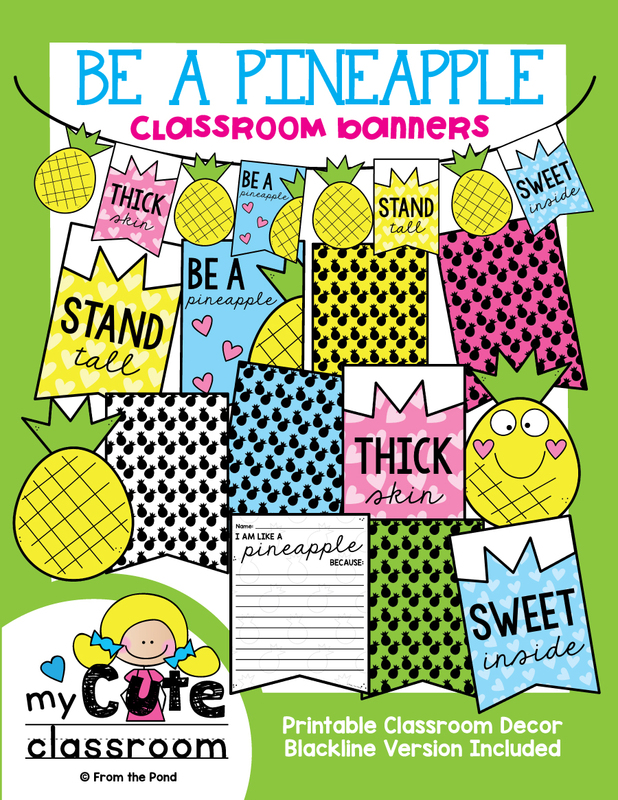 Use this one as a whole class activity and create a 'repeating pattern' with the pennants to help students create and design their own pattern. I printed the pages for the banner below at 70% scale to achieve a smaller and 'fuller' looking banner! 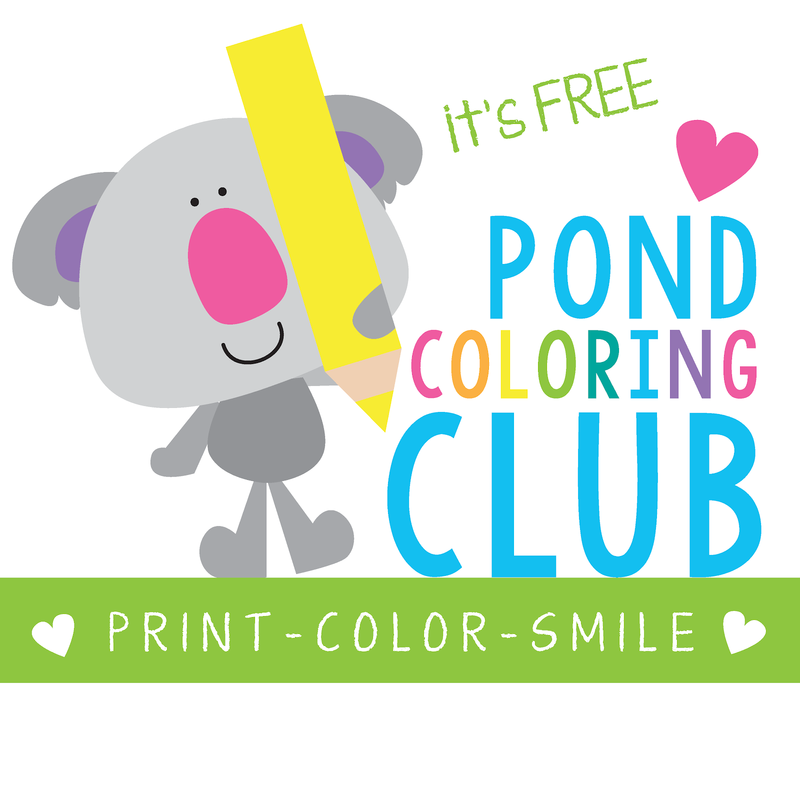 It is FREE for today! Thank you for your encouraging support of my new banner series, I am really enjoying making them and have so many more to come! 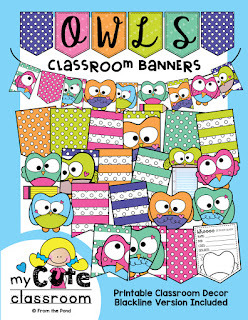 I've just added an owl themed set to my classroom banners collection! 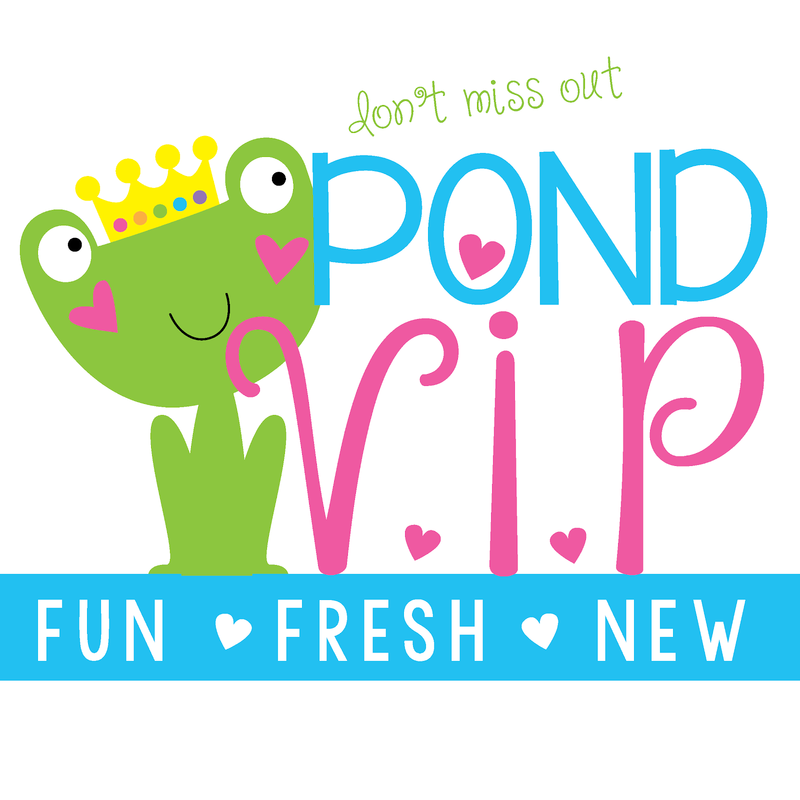 You can mix and match the pieces from within this set to create hundreds of different layouts! You can also mix them with pieces from my other sets! The possibilities are endless. There is a backline version of each pennant, along with a student writing task! 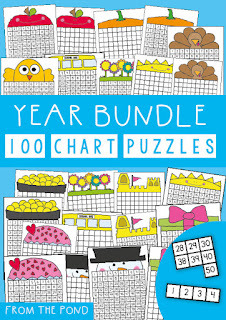 100 Chart Puzzles for the Whole Year! 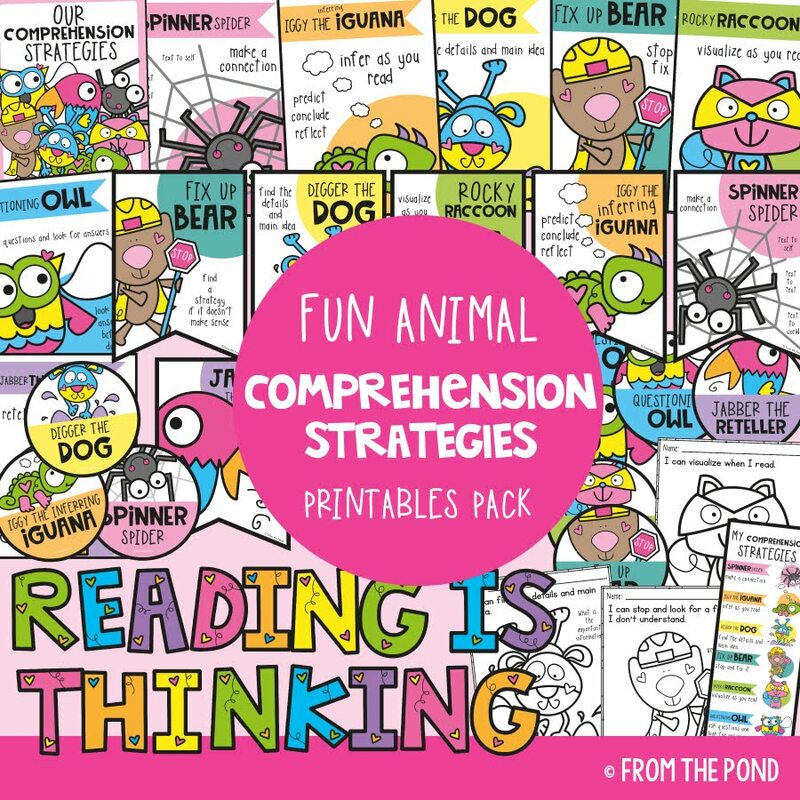 100 chart puzzles are a very easy way to differentiate for every learner in your K-3 classroom! 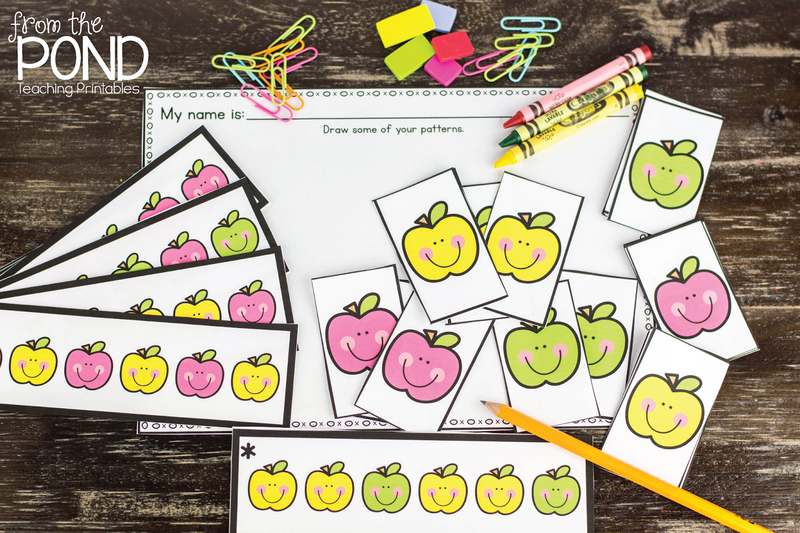 These puzzles will encourage students to become very familiar with the position and placement of numbers on the 100 chart, counting forwards and backwards, numbers before/after and counting on and off the decade. You can differentiate by using plain or numbered base boards and also cutting the puzzle pieces into different arrangements. 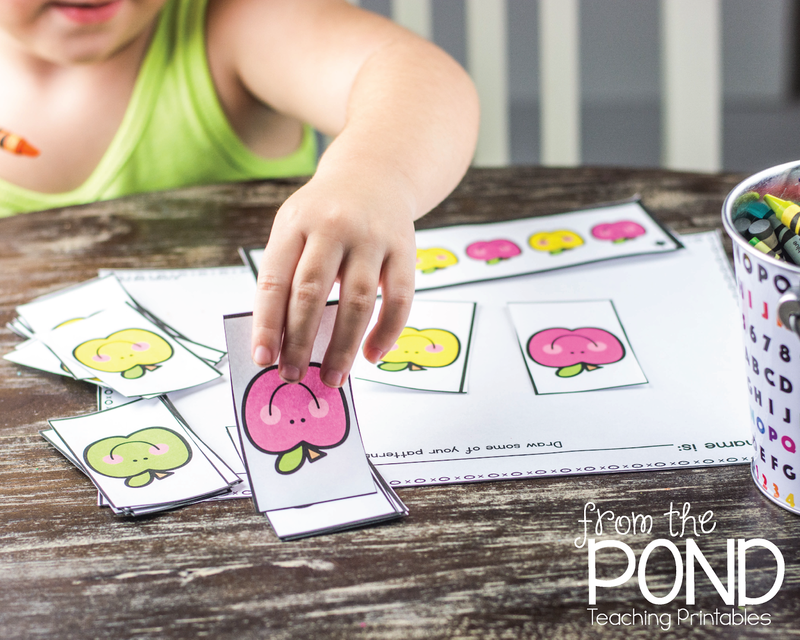 Once you have your varying levelled piece sets (just put into baggies), just switch out the base boards and you have a whole year of engaging and differentiated activities! Hi friends! I am here for Five for Friday! 2 weeks in a row, mind you. Advance warning. These are dreadfully random. Clearly having 75 on my desk already is not enough. Found this adorable cutie from Kmart. Discovering how amazing their online store and delivery is, was also a supreme highlight of the week. Possibly the year. I am obsessed with this bathroom cleaner. The fragrance of it to be more precise. It's a little minty and a little apple-y. I am a slightly crazed bathroom cleaning-ninja this week. 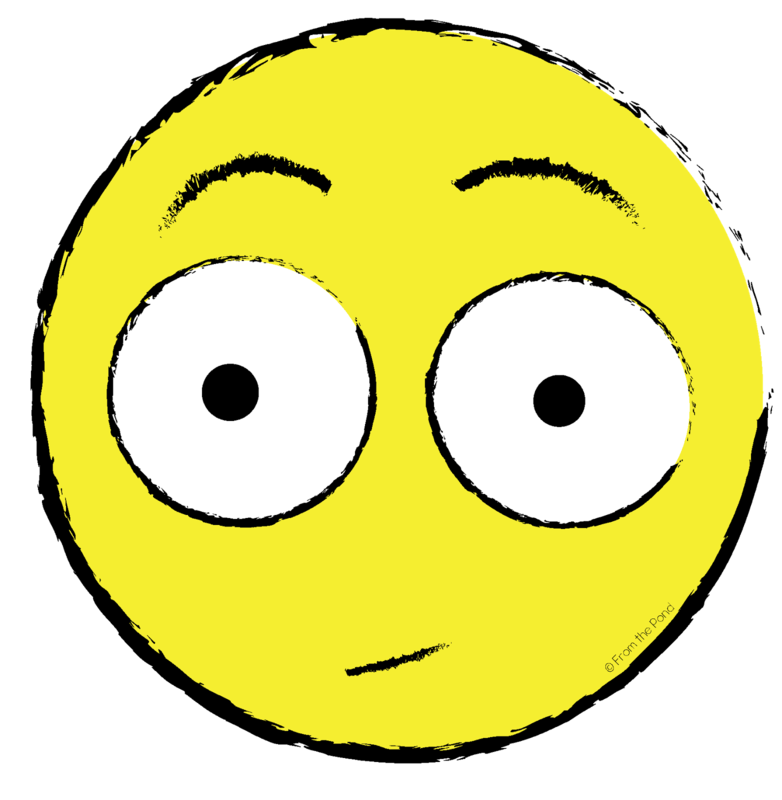 When I am not cleaning the bathroom I am wondering if I could clean other things *with* the bathroom cleaner. Just so I have an excuse to spray it. 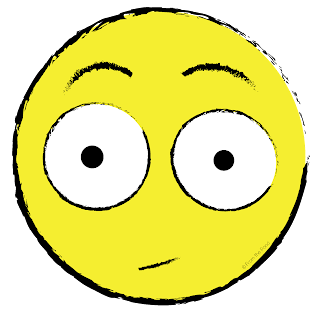 I have had my first full week of school after winter break. My winter break consisted mostly of staying in my PJs till 1pm, sorting Lego, spraying bathroom cleaner around the house, and making platters of healthy snacks like this one for my two sweeties. A new reason to LOVE hump day. 5 days and counting. 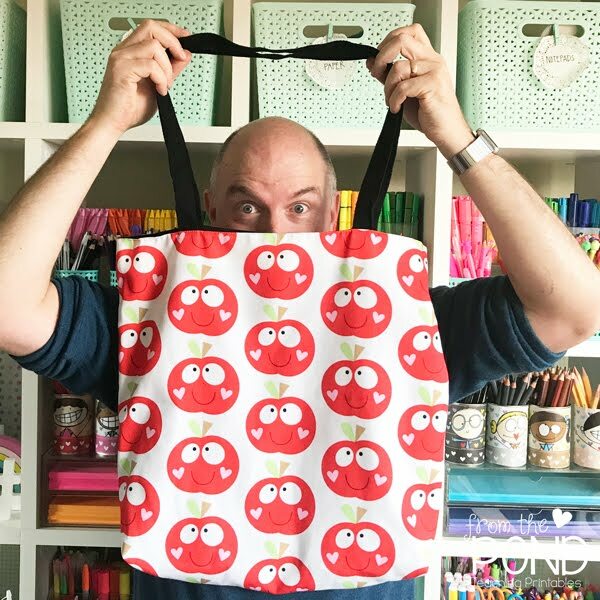 It's an ideasey time of year, and I would love to help you find some cutie patootie things for your classroom. 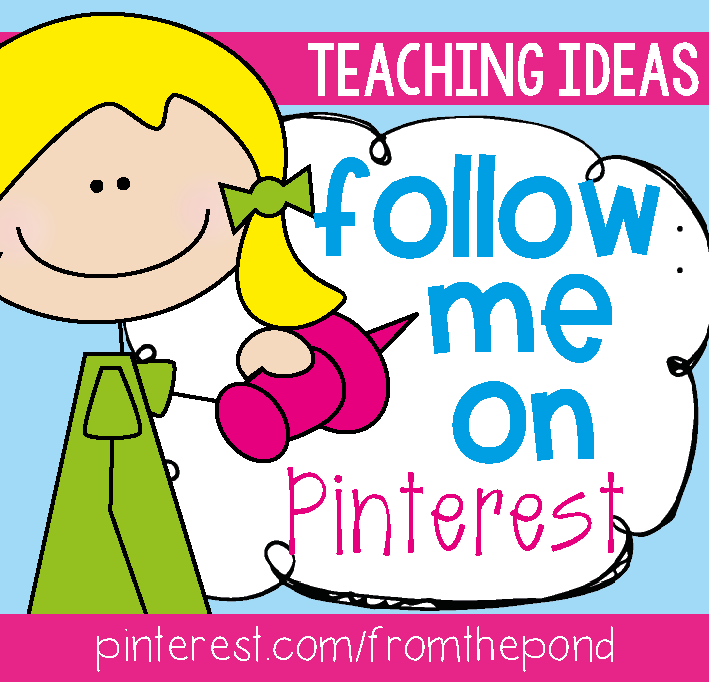 Hop on over to Pinterest and click the follow button! 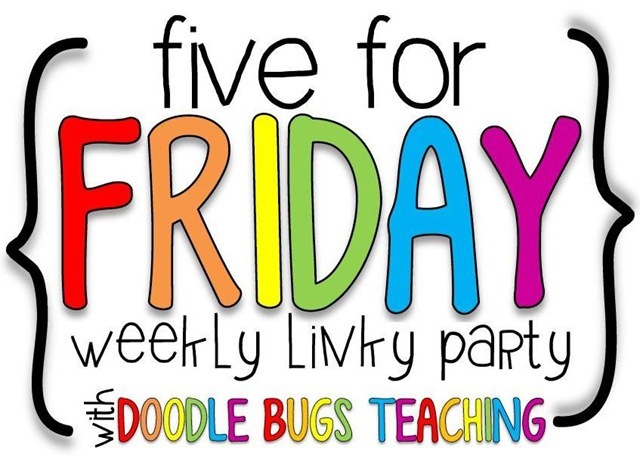 Head over to sweet Kacey's blog to find more Five for Friday fun! Have a super-fan-fabulous weekend my friends! 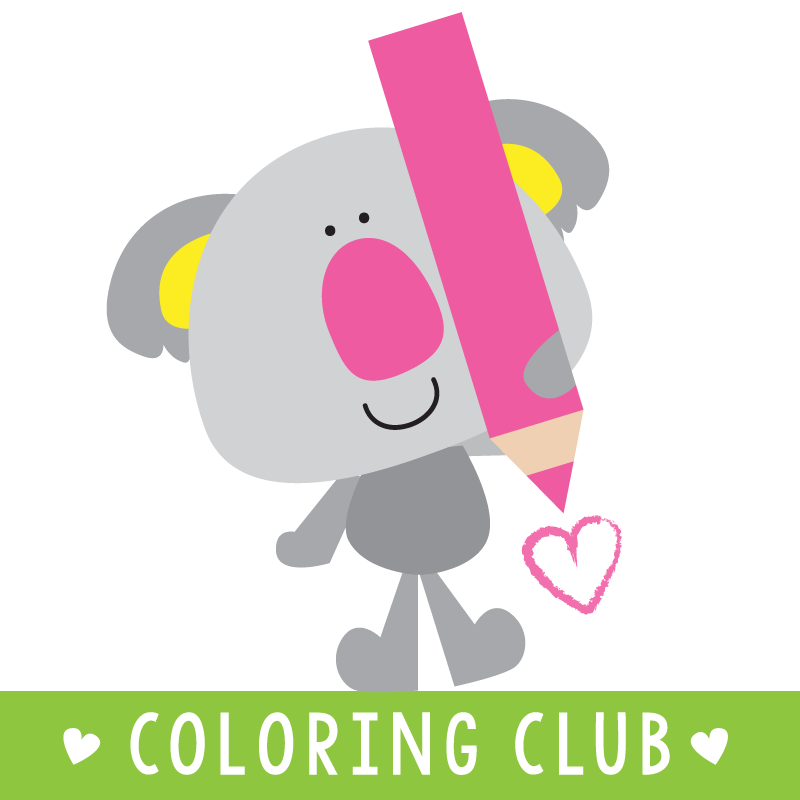 Kiddos LOVE making their learning visual and combining a bit of arty crafty creativity with rigorous content will cement their understanding. 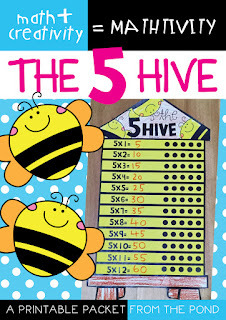 Students will draw an array and write the answers to the multiplication problems and create a 'hive' of facts! 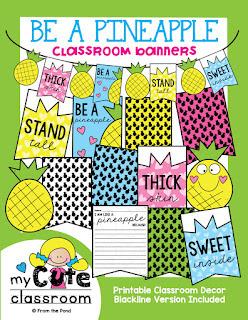 Today, I wanted to show you my newly-listed 'Pineapple Classroom Labels'. You can print these labels out and write on them, or edit the text in the MS Powerpoint file if you prefer. 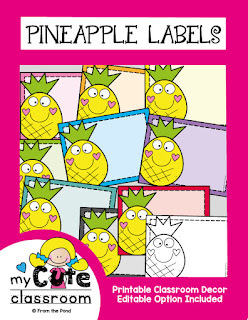 Use them to organize your classroom, label books or student desks! The possibilities are endless! 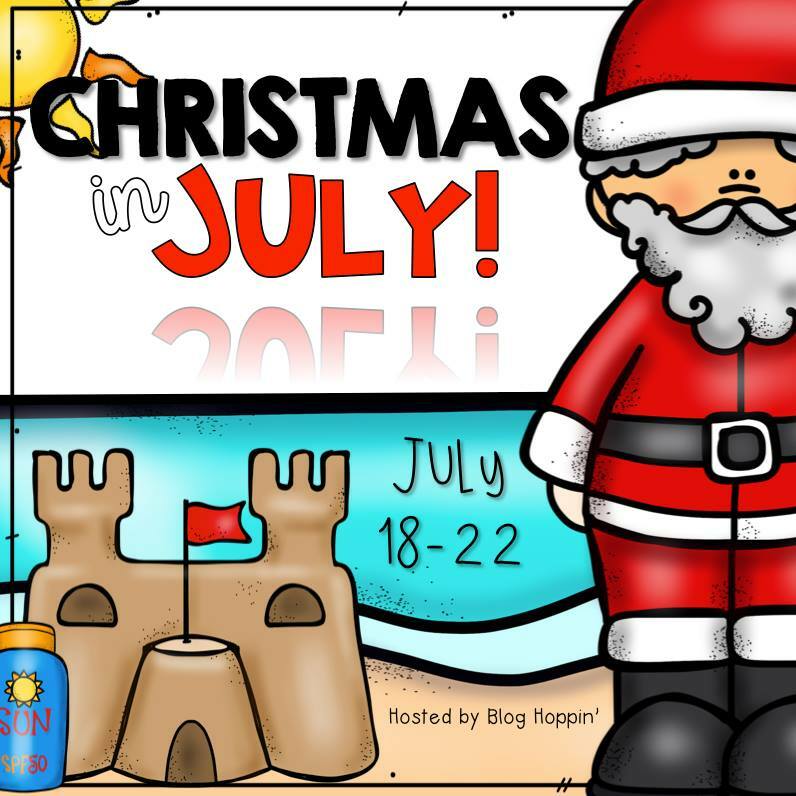 Today is the first day of Christmas in July! 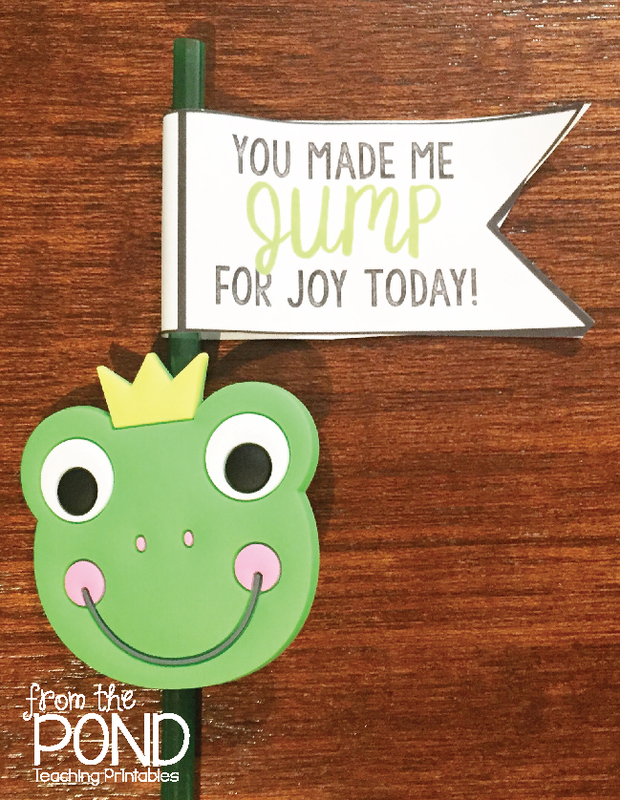 Each day this week, I will join with the Blog Hoppin girls to mark an item from my store on sale. What a great way to celebrate! 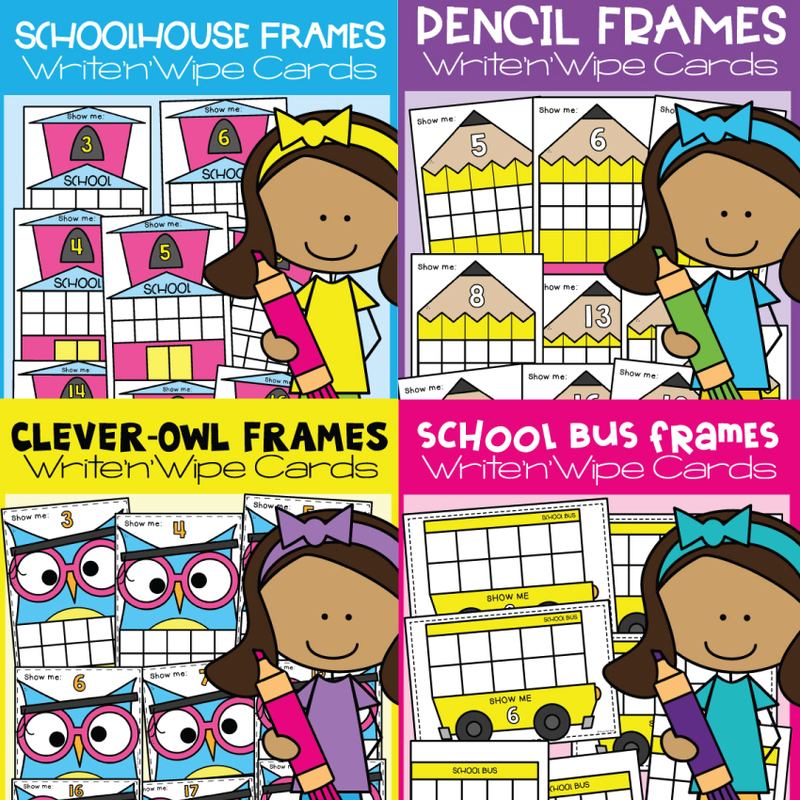 Today, my newly listed frame write-n-wipe cards are on sale. 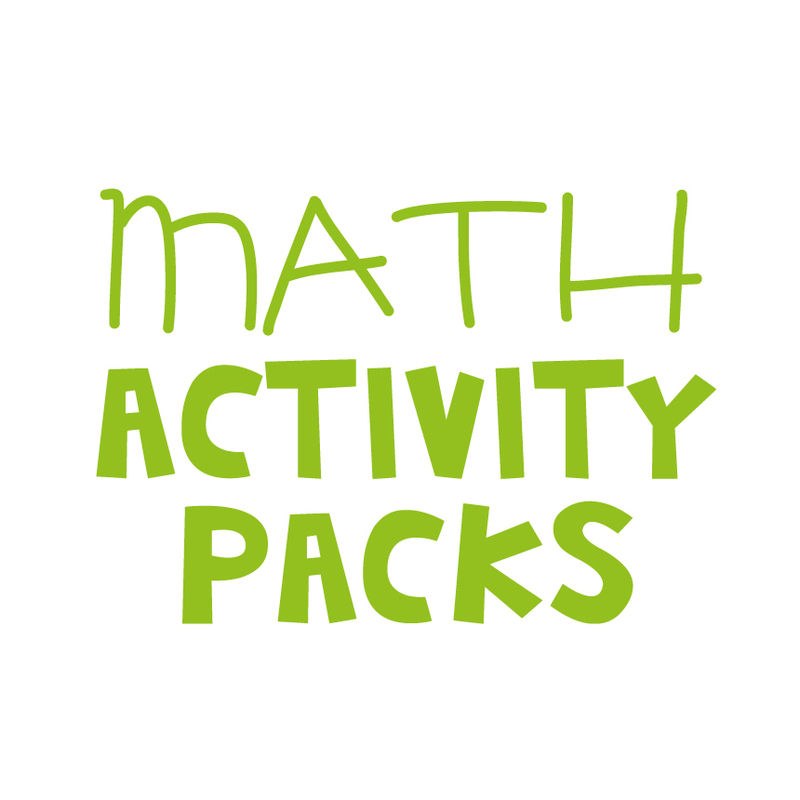 There are themed cards that will provide your students with lots of opportunities to practice number skills. 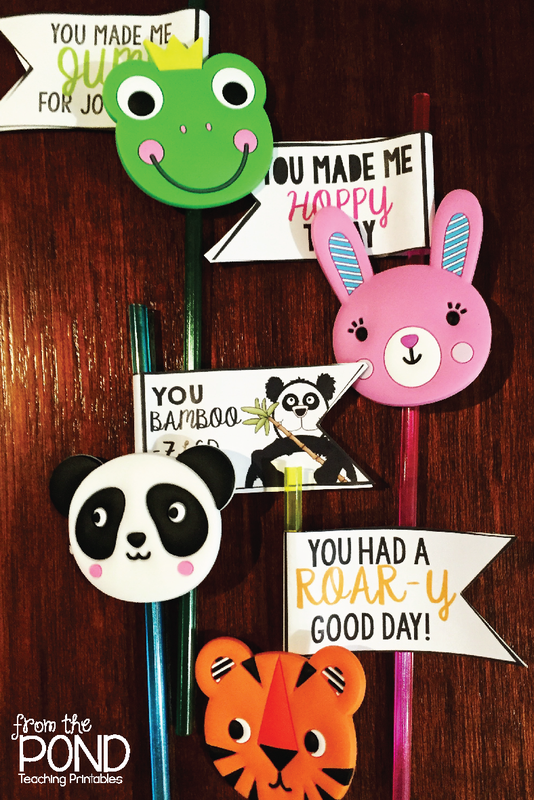 Use them with a dry-erase marker or play dough, like we did today! 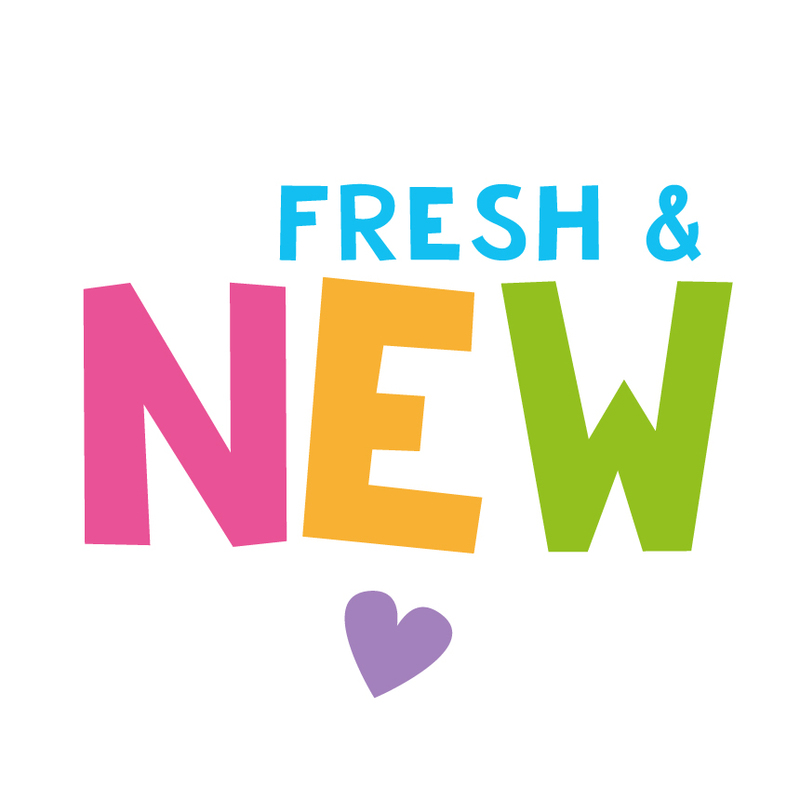 Be sure to pop back tomorrow to find my next daily deal! Ho ho ho - have a wonderful day! This poster has been hanging in our house for a few months. 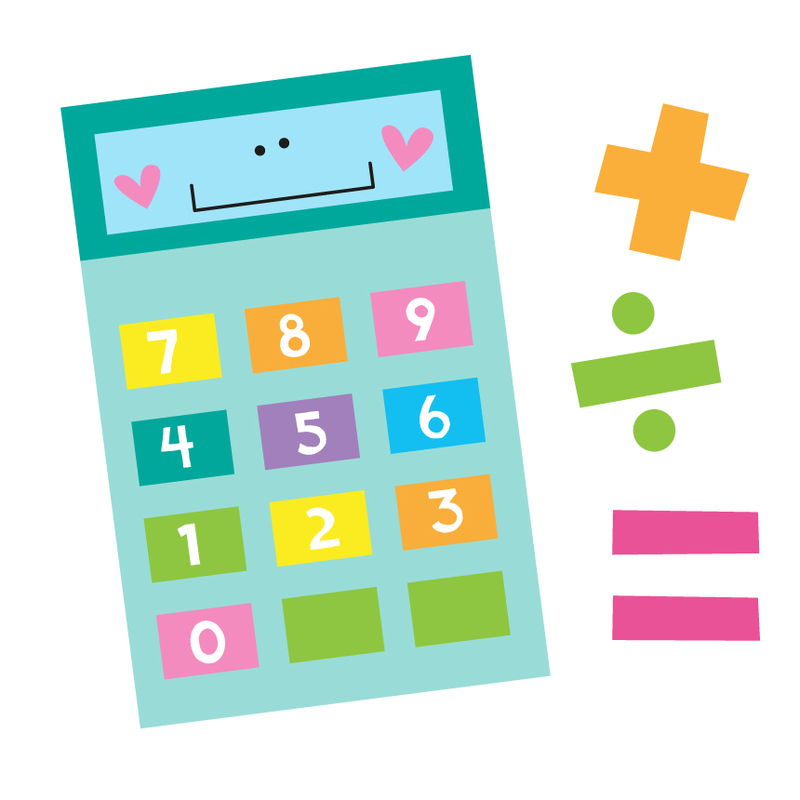 SO many numbers and such a big task for little ones to muster some enthusiasm for. 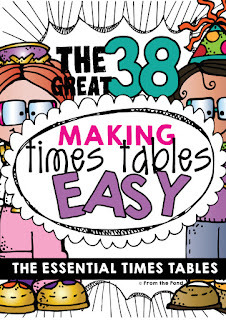 We crossed out the ones we already knew to make it more manageable and 'The Great 38' was born! 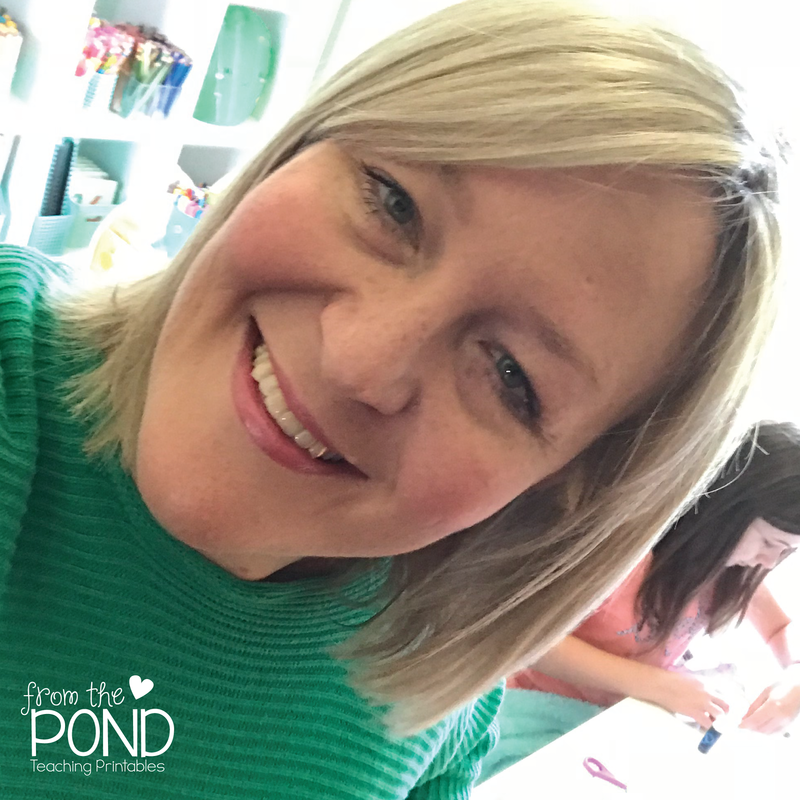 It is a fun and motivating strategy for learning the 'juicy' times tables that are just a little bit tricky and the ones that we need to devote time to memorising. We removed the x0, x1, x2, x10 and most of the x11 facts that we know. We talked about why these are so easy. We also removed all the 'TWINS' - for example, 3x4 is included but NOT 4x3. In my printable packet, I have included a students reference sheet clearly showing all multiplication facts and the 'Great 38'. This could be used as a desk mat or reference during activities. With times tables, I have no problem with 'copying' answers for a while, especially when first introducing them - the goal is memorization, not a conceptual understanding, so a visual aid will boost achievement of our aim, not diminish it. After several weeks, I would challenge students to not simply 'copy' answers, but test their memory! 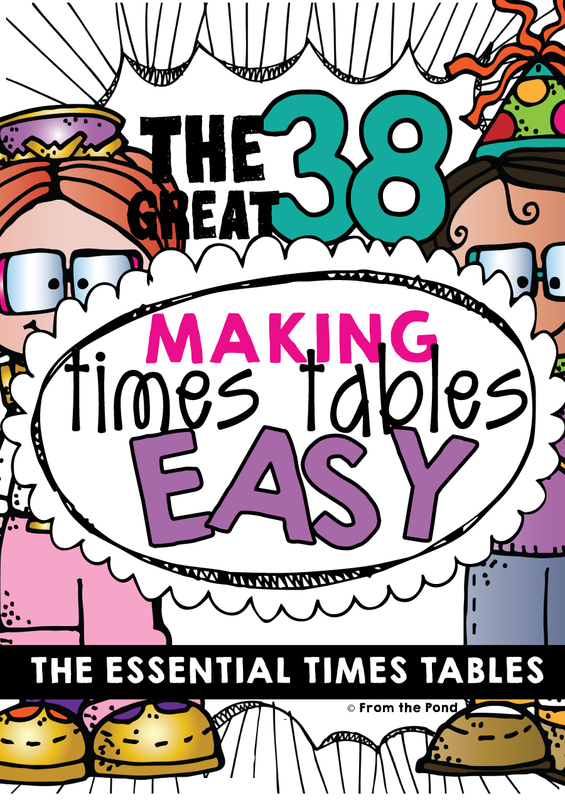 A poster for each set of times tables, with the 'Great 38' clearly shown in bold black boxes, is a visual reminder of just how few facts need to be worked on! I have included 2 sets (with and without answers) of drill / fluency flashcards and 5 timed test worksheets for practice. 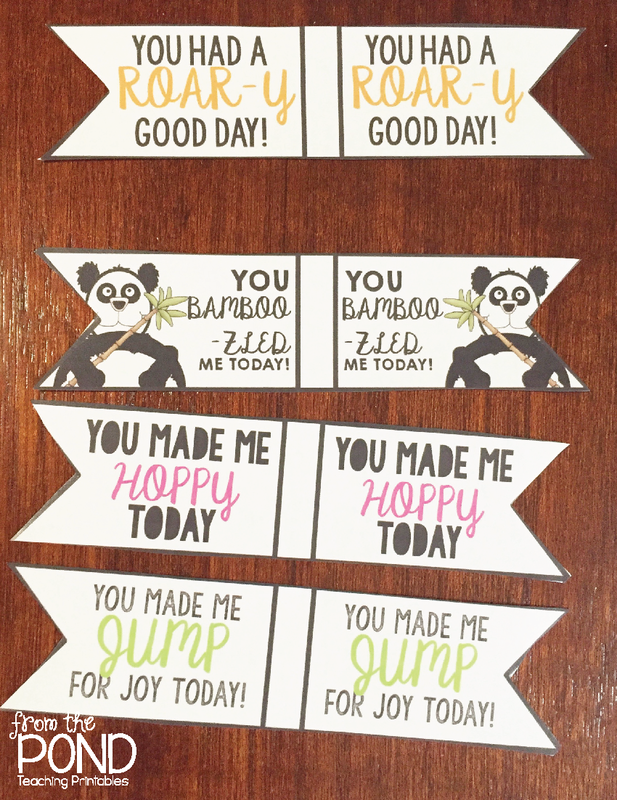 Get your students ready to PARTY with these fun printables and celebrate the fact that their work just got a whole lot easier to manage! The remaining facts belong to the 'Great 38' and we will focus on them! I have included other little reminder tips on the posters, applicable to each set. 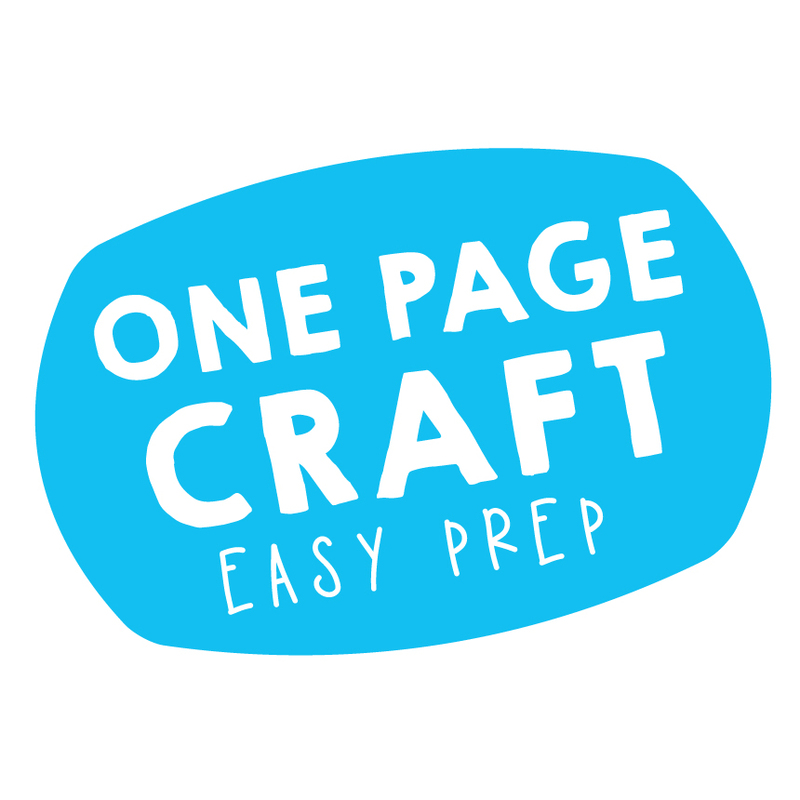 I see huge merit in repeating each of the practice pages more than once. Memorisation comes with systematic repetition! A teacher reference page will explain the process of eliminating most of the facts, in more detail. Make sure you have a good understanding of why they have been removed and ensure your students know these well before moving onto the 'Great 38'! Thanks so much for stopping by today - have a wonderful weekend!